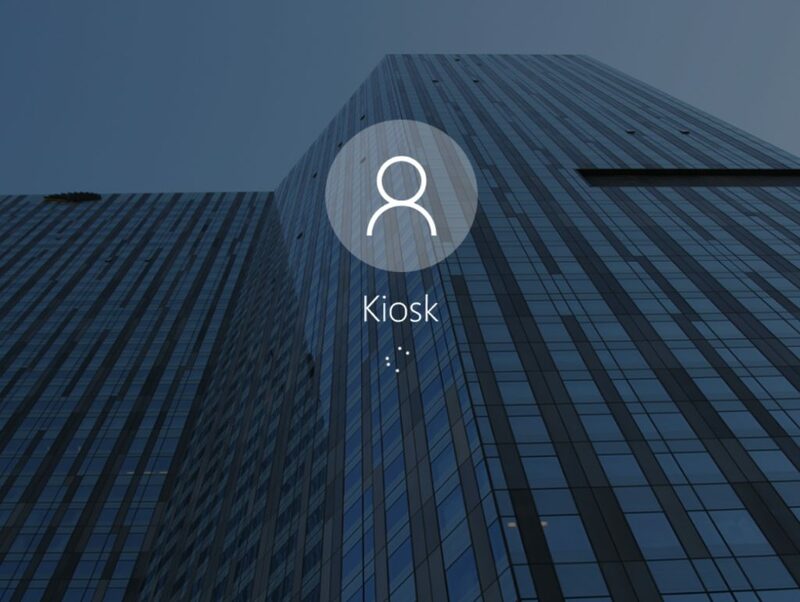 In step two of this blog we will create a customized Start Layout for the Kiosk devices. 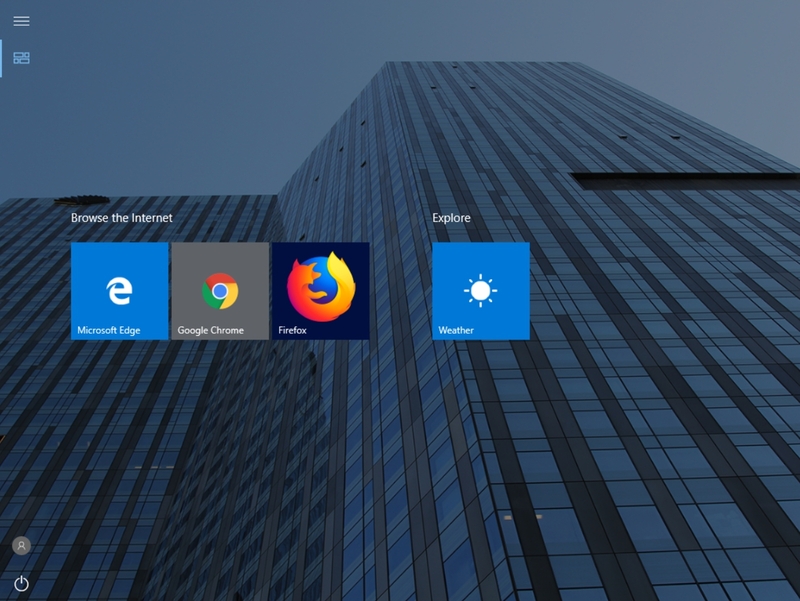 What’s not part of this Start Layout is the wallpaper and I think it’s nice to have a custom background in Kiosk mode. Therefor I will create a separate Profile to set the wallpaper. 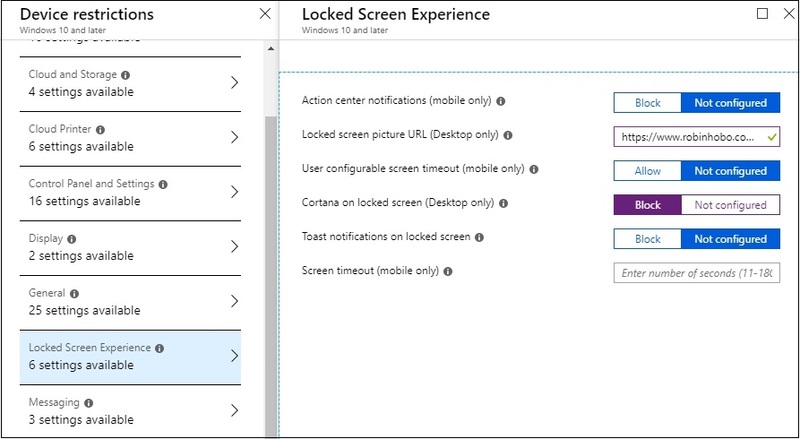 Optionally, you can also set the Windows 10 lock screen wallpaper. To do this, click Lock Screen Experience and copy the wallpaper URL next to Locked screen picture URL. The second step is the create a customized Start Layout. 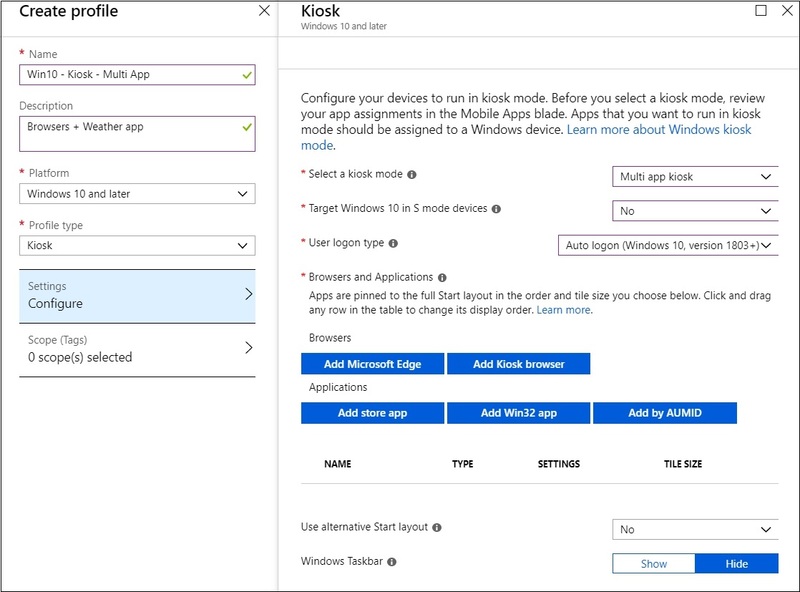 To create a customized Start Layout use a Windows 10 test device and configure the Start Layout the way you want it for the Kiosk devices. First put the Windows 10 test device in Tablet mode since we will create a Start Layout for Kiosk devices. 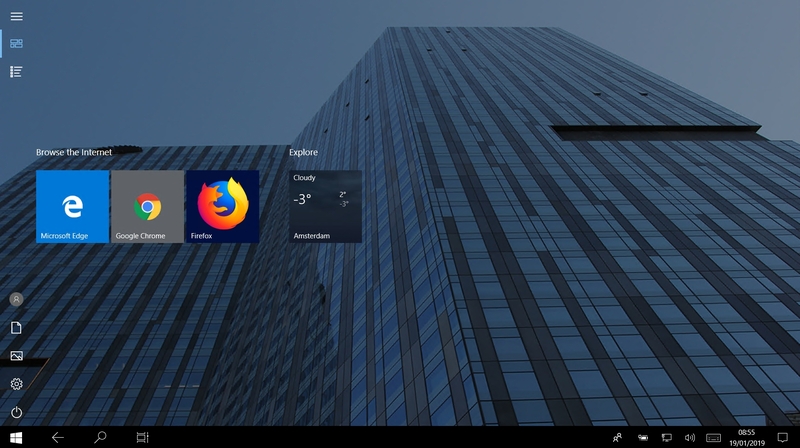 For this blog I will add some browsers and the Microsoft Weather application. After finishing the desired Start Layout, open a Windows PowerShell prompt and run the following command; “Export-StartLayout -Path c:\[path][xml name]” for example c:\temp\startlayout.xml (see also screenshot above). 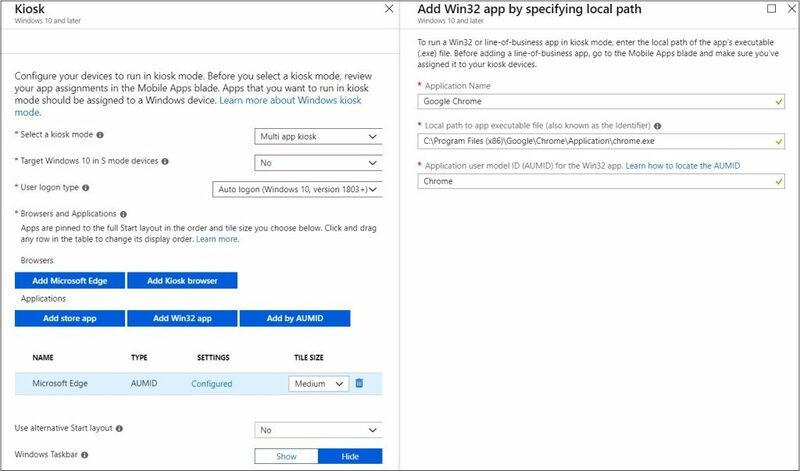 You also need to have the application ID’s aka AUMID / AppUserModelID for each application you want to make available in Kiosk mode. There are multiple ways to get this information. 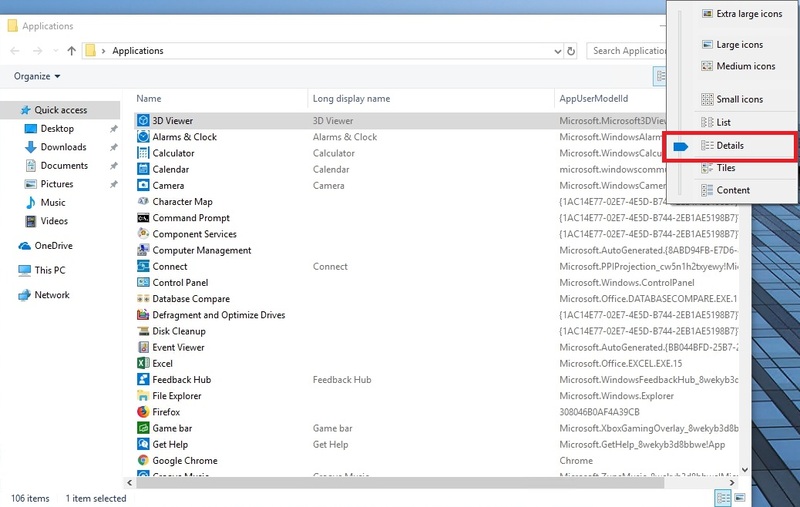 There is a PowerShell script available, however, for some reason I only get the Microsoft applications / Modern store apps with that PowerShell script. I also want the Google Chrome and Mozilla Firefox applications available for this Kiosk mode configuration. Fortunately, there is a very easy way to get the ID’s for these applications. 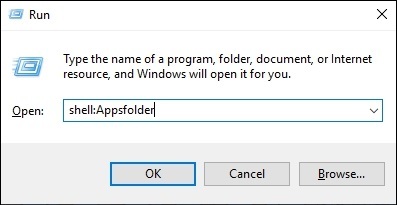 Select AppUserModeId and click OK.
Change the Folder view type to Details. 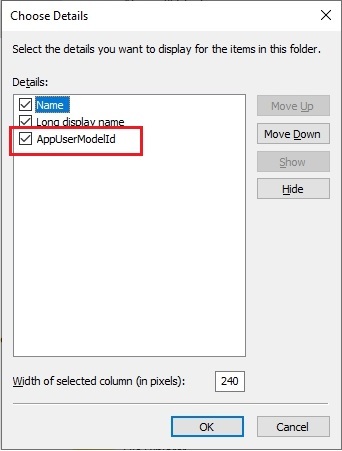 Now you have an overview off all installed applications with the AppUserModelId. In the final step we are going to create the Kiosk Multi App Profile. 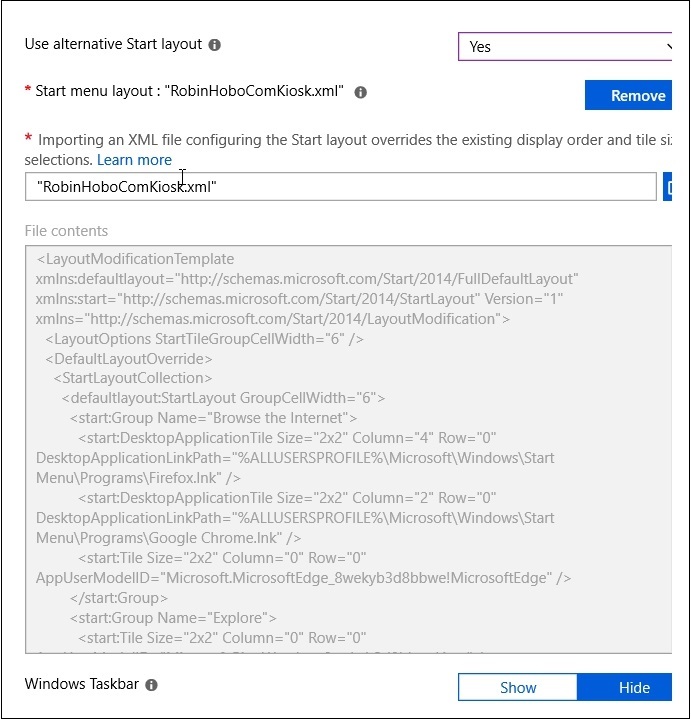 Make sure you have the XML file for the Start Layout and all the Application ID’s of the apps you want to make available in the multi Kiosk ready. User login type : Auto logon (Windows 10, version 1803+) in this case, but you can also configure local of Azure domain users. Set Use alternative Start layout to Yes. 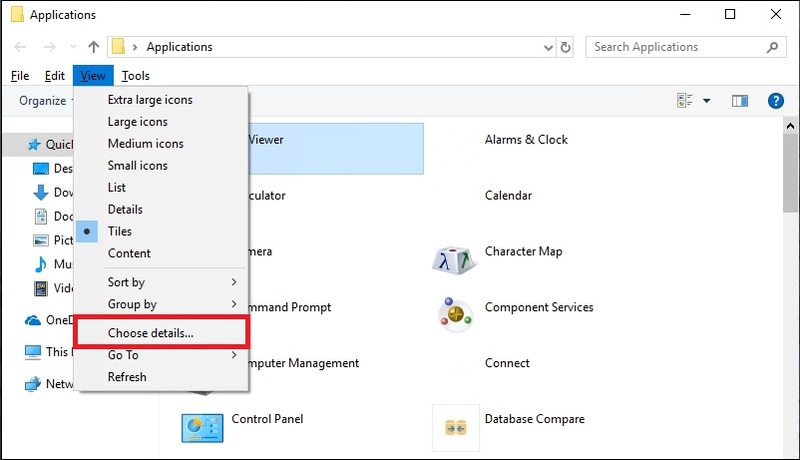 Click Browse to upload the customized Start Layout XML file we have created in step 2. I have Hide the Windows Taskbar, but this is a choice and you can always enable it. 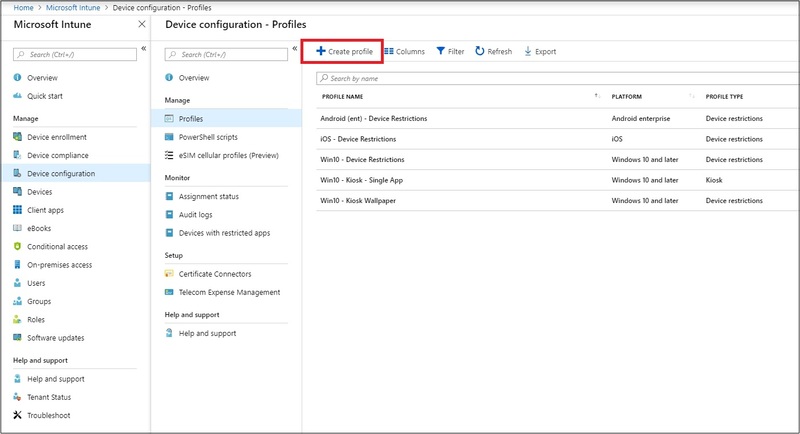 Open the Assignment page and assign a device group to this Profile. It’s time to test the results. I have checked that the Profile is pushed to my test VM. Now I only have to restart the device. I have configured Auto logon as logon type. As you can see, there is a new local user with the name Kiosk that will auto logon to the device. 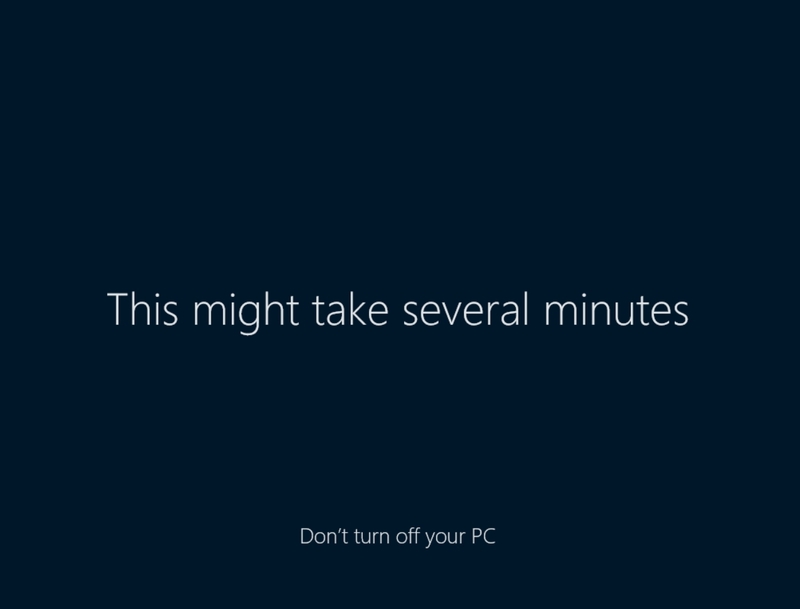 The first time Windows 10 needs to configure some device settings. As you can see. The device is automatically logged in and the customized Start Layout is displayed including the custom background wallpaper.